Irish Gifts - what to buy? 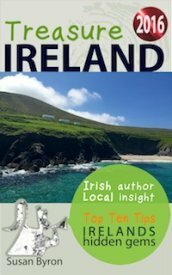 Irish gifts - What to buy in Ireland that is good value and unique is not the mass produced in China ‘leprechaun and shamrock’ tat. If you want ‘genuine’ Guinness souvenirs go to the Storehouse itself. 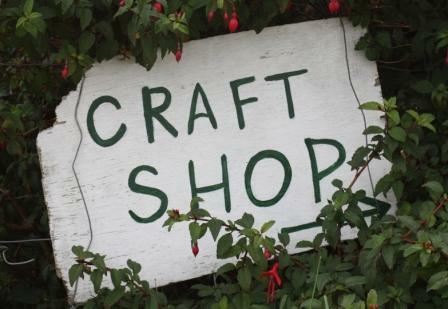 Otherwise head for the top craft shops like Avoca Handweavers, Kilkenny Design, Magee's of Donegal Foxford Woollen Mills and Newbridge Silverware . Here you will find good quality giftware that at least has been designed if not always produced in Ireland. Lots of colourful knitwear from woolley aran jumpers to tweed hats and wax jackets, printed silk scarves and jewellery. Celtic designed jewellery and traditional claddagh rings are always popular as is the ubiquitous crystal of dubious origins. Head to a specialist shop if you want the real thing though it is not easy to track down with the global price war forcing manufacturers to outsource in the far east. Many excellent smaller local craft outlets such as Judy Greenes emporium in Galway are more likely to stock and promote genuine artisan products, albeit with a peppering of international crafts as well to satisfy global demand. But where you will absolutely find the best value and have the most fun is at various craft outlets you will find scattered throughout the country. Follow hand painted signs down little boreens to an artisans studio, it could be a weaver, basket maker, hand knitter, candlemaker, painter or sculptor, where you will often be made terribly welcome and get to meet the person who is actually making the product. Getting the history behind something special like that adds an extra dimsension to a product an old bar code can never evoke. Who knows you might even discover the next best product that hasn’t yet reached the worldwide stage it deserves.